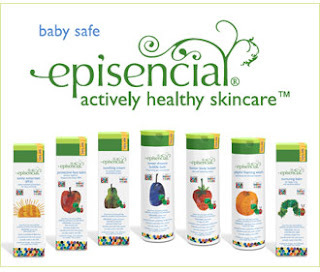 Yesterday's special was a combination set of two products from www.episencial.com, the first company to create an all-natural and fully sustainable skin care line for babies and families, will be available at 40% off. Simply follow @sproutbabyclub on twitter and purchase using the special URL of the day. 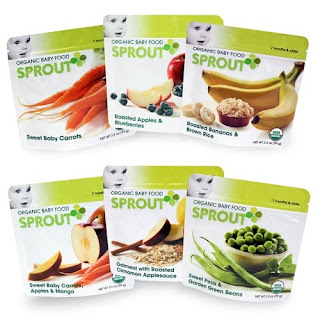 If you are one of the lucky seventh buyers, you will be rewarded with a variety six pack from Sprout Foods, the organic baby food created by Tyler Florence. Follow SproutBaby on YouTube at http://www.youtube.com/sproutbabyclub for video announcements each day of the sale! We are first and foremost a skin care company. Episencial skin care products are based upon clinically effective formulas and technologies relied on by skin care professionals in spas and clinics for more than thirty years. Our products are designed to support the skin’s role in the body’s immune system to promote health and wellness as well as beauty. And we believe in the Vivid Green Generation. Kids learn to take care of themselves at bath time in a fun and familiar way. Take that teachable moment and expand it to the care and cleansing of the planet and you’ve got the makings of something powerful — a Vivid Green Generation. Our kids will be the generation that takes environmentalism from a trendy cause and marketing gimmick to a cultural and corporate norm. We can help them make that happen. Because actively healthy can and should be fun. With Episencial products you can begin to instill green values from day one. Sharing these fun and inviting products — and the care and consideration that goes into making them — with your children can serve as a building block for making actively healthy choices for themselves and the planet. We have been extremely fortunate to showcase like-minded artists; famed photographer Anne Geddes for our professional Epicuren Baby line and celebrated children’s author Eric Carle for the new Episencial products, so you and your children can enjoy them with all of your senses. To purchase Episencial products, click HERE for a store locator. * I did not receive any compensation or product in exchange for this review. I believe in organic products and wanted to spread the word.